First impressions are very important when it comes to preparing your home for sale. Many sellers choose to wait until the springtime arrives before selling their homes, as this is usually a great time of year to make necessary repairs and get the property in tip-top shape before you begin to market your home for sale. Providing great curb appeal and making a good first impression will not only reduce the market time and holding costs, but will also help maximize your profits. Take advantage of the changing weather to enhance your homes curb appeal and attractiveness, as you will surely benefit from taking some small steps that will make a big difference. 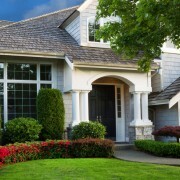 As the buying demand increases so does the inventory of homes. Therefore the competition will heat up, and you will want to be sure to follow these several useful tips prior to placing your home on the market. After a long winter of cold temperatures, falling branches, remanence of leaves from the previous autumn days, and soggy yards from the snow and rain, you will want to first and foremost take time to evaluate the homes exterior and be critical of any signs of past or present deterioration to the paint, trim, windows, shutters, screens, and gutters, that may have been damaged during the winter months. Be sure to clean your yard and driveway of all debris. Cut your grass, trim your hedges, add some mulch and flowers, fill cracks, clean gutters and windows, and paint any unsightly areas. Be sure to de-clutter all the interior areas of your home. Now will be the time to make room in your closets, kitchen cabinets and countertops, storage areas, garage and basement. Removing unnecessary items and furniture from these areas will allow the home to look larger and provide a better appeal to buyers. Clutter throughout the home can give potential buyers a poor impression, and as stated before first impressions are important when selling your home. Cleanliness counts. Be sure to pay close attention to areas of importance such as the kitchen and bathrooms. Now will be the time to do a deep cleaning of your refrigerator, carpet, bathtubs, toilets, ceramic tile, baseboards, heating vents, furnace filters, and any other hard to reach or typically out-of-sight areas. Smell is important, and buyer’s sense of smell will trigger memory, which in return triggers emotion. In other words, positive smells lead to positive emotions, and therefore may lead to finding a buyer. Several homeowners may not have the time or knowledge to make certain repairs that could otherwise cost you a potential sale. Make sure that all your faucets, shower heads, doorknobs, and other mechanical components are in good working order. Leaky faucets, squeaky steps, loose handrails, and stinking doors can all give buyers a bad impression. Whether you can make these repairs yourself, or need to hire a tradesman to do them for you, now is a good time to take care of any problems, as it can pay big dividends in the long run when you have potential buyers enter your home. As a licensed PA Contractor, BC Artman Real estate is uniquely positioned to help homeowners in this area. We are often able to help our listing clients with important repairs or improvements to increase the value of your home. You can read more or contact us to have someone walk through your home and consult on listing and possible improvement projects. Spring Real Estate Trends in Pittsburgh, PA Condos for Sale on Mt. Washington: Is it the Right Move for You?